In this video I reflect on the relationship between the body and the soul, between matter and spirit. It questions the way in which simple actions resonate and wonders what would happen if each daily gesture contained a profound meaning transcending its functional use. Where should we direct our gaze? To the face of God who loves us and wants to be our father, who gives us life, and what is bigger, eternity. Lord, I seek your face, do not hide your face from me. 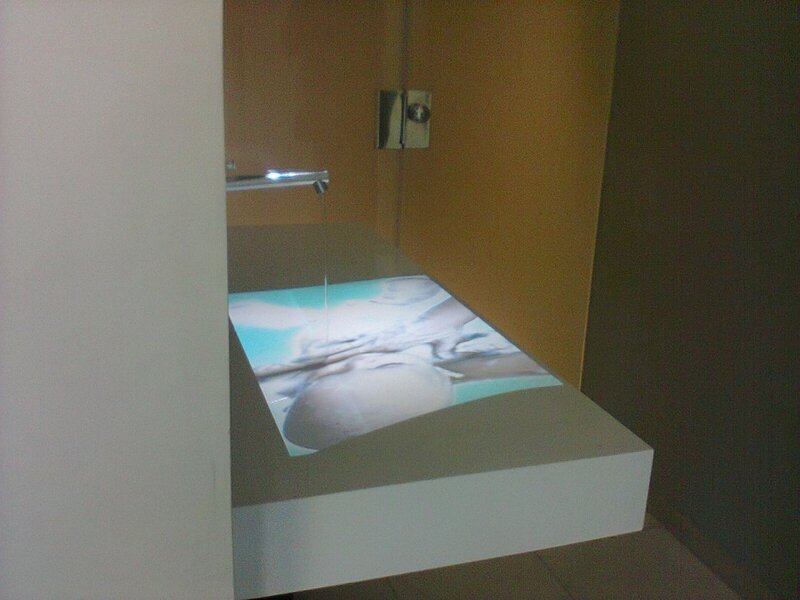 David Lopez: Bath, photo of video installation as shown at the Arte e Fe exposition in Caceres, Spain, 2012. 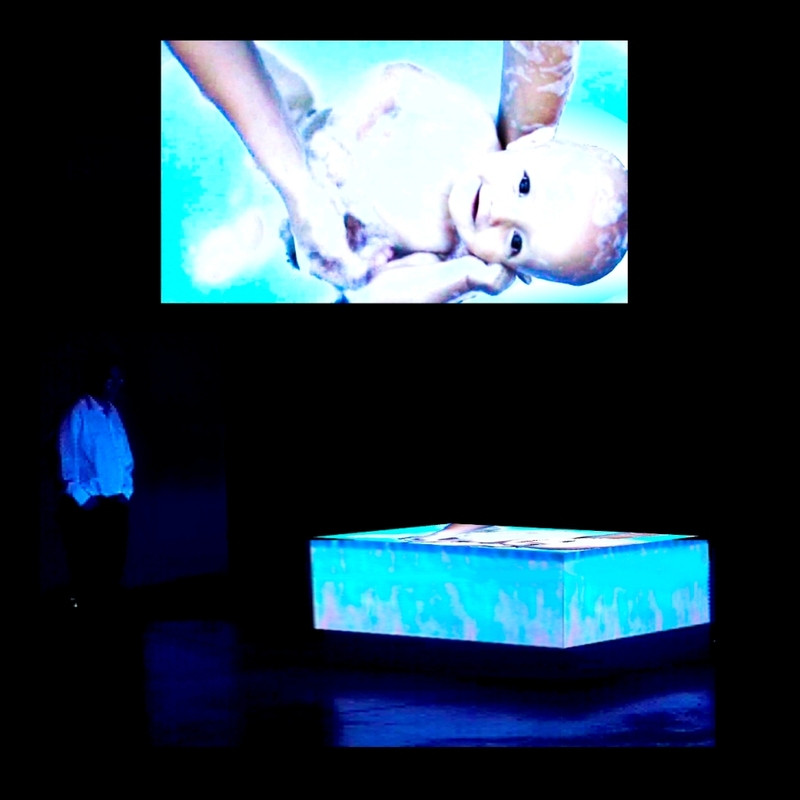 David Lopez: Bath, video installation as shown at the Arte e Fe exposition in 2011 in Madrid, Spain. David Lopez: Bath, photo of video installation as shown at the Arte e Fe exposition in Madrid, Spain, 2011.